We will be here for you, whatever, whenever. 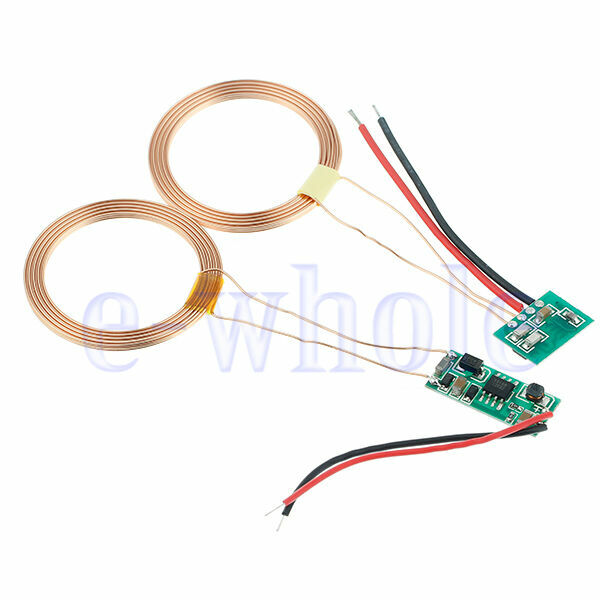 Adopts two copper wire coil superposition to active the wireless charging module;. Great for you to DIY a wireless charger. 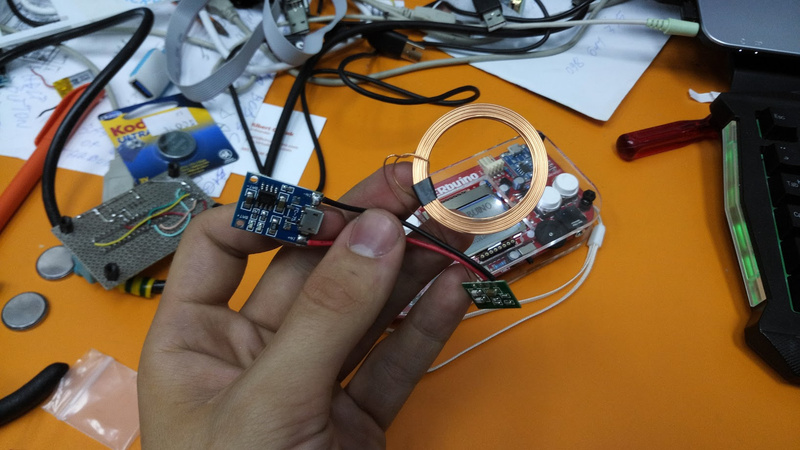 1 x Wireless charger transmitter module (6cm-cable). | eBay! I've just connected the transmitter module's power input to 5V USB and the receiver's power output to MAKERbuino TP4056 Li-Po charging board's power input pins and it works! I've tested it through three layer of 3mm thick acrylic and it still works (that's 9mm of plastic in total, I am surprised with the quality of this modules). To-do: put the transmitter module in a nise plastic (or wooden) casing. This is very cool! Would you mind telling us how you connected it? I want to put one in my makerbuino, but I want to make sure I do it properly. Nice idea! But I have to ask... Wouldn't the charger also induce a voltage through the speaker coil? 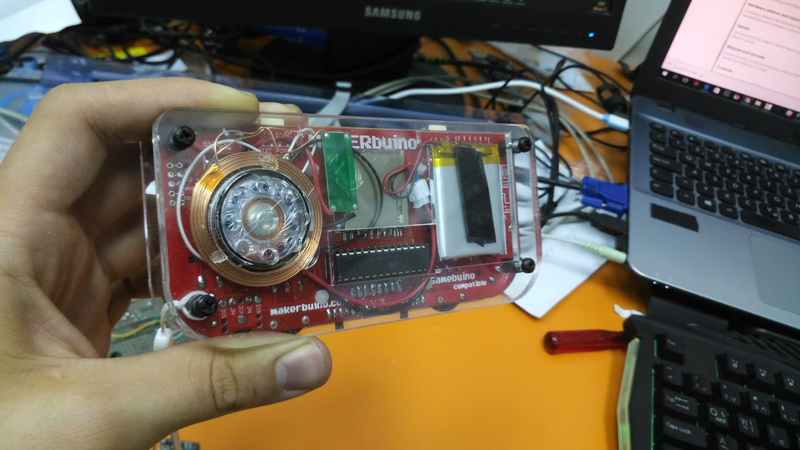 Isn't it dangerous for the makerbuino? Yes, nice tips. I have no idea if it’s totally safe for Makerbuino. Can someone confirm me that it’s can’t erase the memory card ? This isn’t dangerous and the sound circuit has a protection rectifier diode so you shouldn’t worry. @Makerkid, communicating with your PC or phone can be done in various ways. 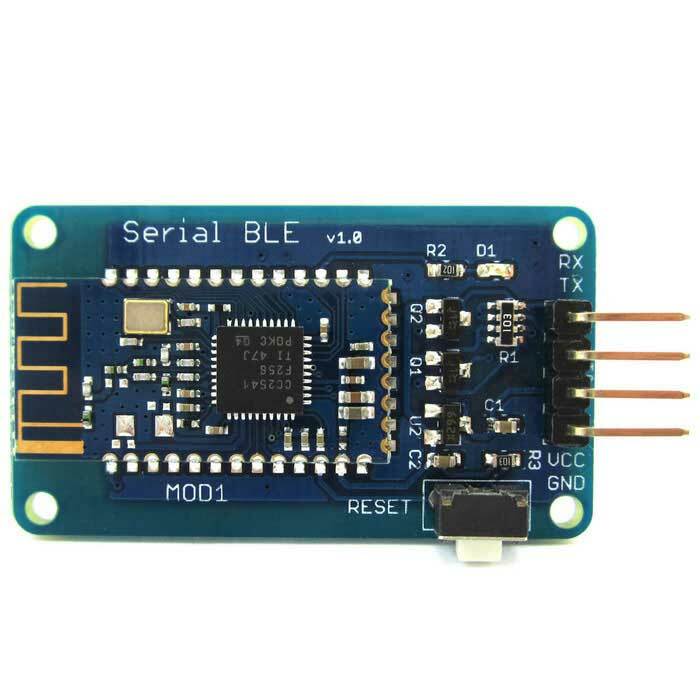 The most common one is bluetooth and you can make an Arduino (or a MAKERbuino) communicate by bluetooth if you add a HC05 module. As far as I can tell you should be able to send and receive data using the serial port of the MAKERbuino. But you’ll need to programm the communication yourself. It won’t support the multiplayer-features of the existing games as they use the I2C-Port of the MAKERbuino. Can someone tell me the components used for the circuit?